You would like to rent a bus or a minibus in Nice, to go to the airport or for a shift to another cities of the region ? 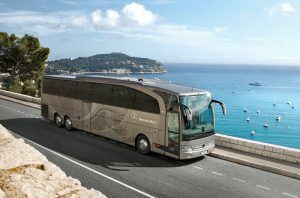 France Bus proposes you the rental of buses and minibuses from Nice, as well as as the rental of minivans of 7 or 8 seats. 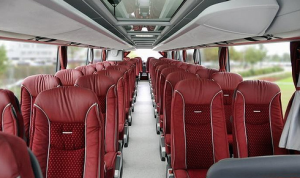 How to book a rental of buses and minibuses from Nice with France Bus ? France Bus can guarantee a simple and quick organization for your collective transport. According to your expectations, we provide you with tailor-made solutions, corresponding to your program. 2) we propose you in the day or in the day after a free quotation with fair and reasonable prices and a vehicle that best suits to your needs. Our rates are fixed rates: no prices from mileage, no nasty surprise! 3) If this quotation suits to your expectations, your transport will be booked after the payment of a deposit whose amount represents 50 % of the total fees. All you have to do then is to let yourself transported peacefully and comfortably! Please do not hesitate to contact us for any quote request or for any further information. We can be contacted at the following e-mai address : info@francebus.com.